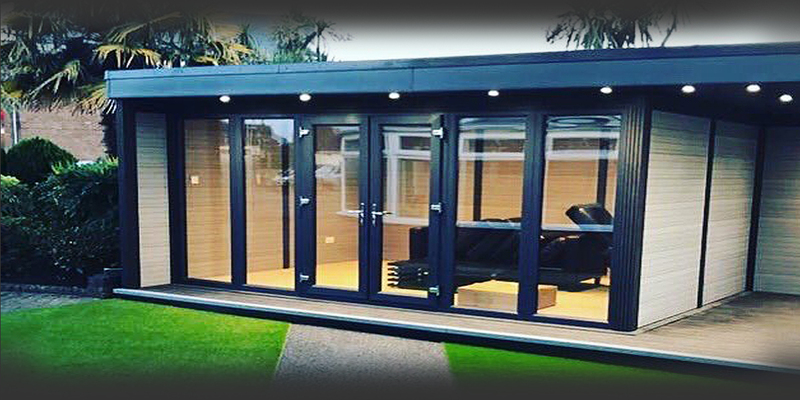 Looking for some garden room inspiration? A private garden room den to escape the parents to play Xbox and watch videos with your mates. 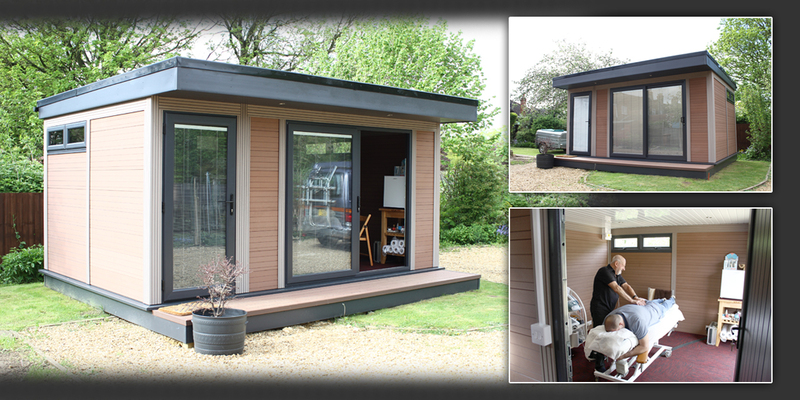 Designed with mobility thresholds and wide double doors to allow easy to access. 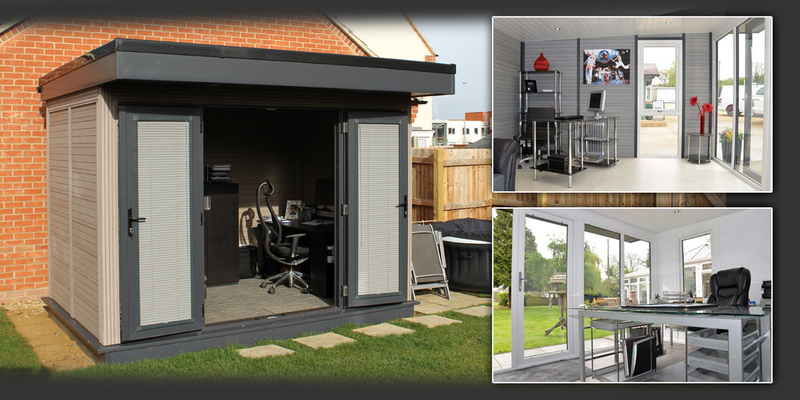 Working from home could not be easier with this tidy Garden Office. 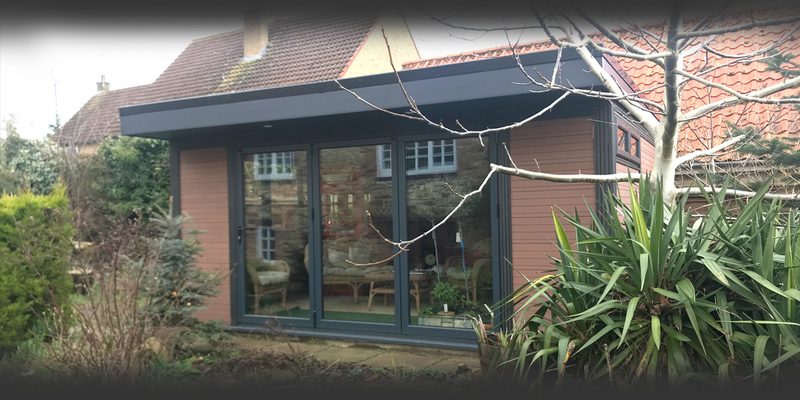 Finished with grey double doors, internal blinds and small canopy hood. 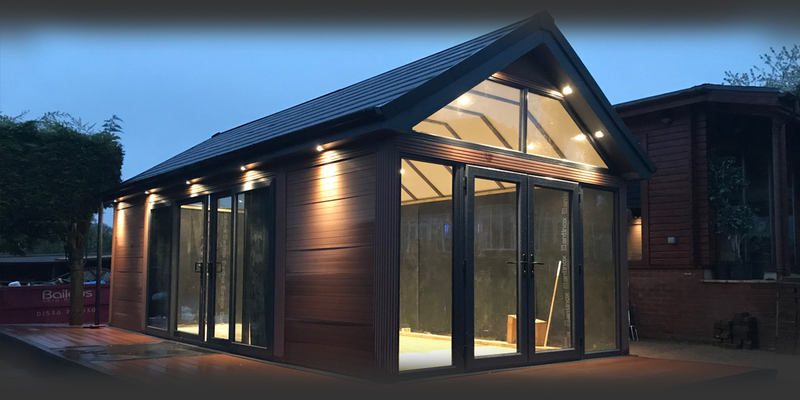 Let there be light with this glazed bespoke garden room with pitched roof, gable end, matching decking and a hot tub canopy. 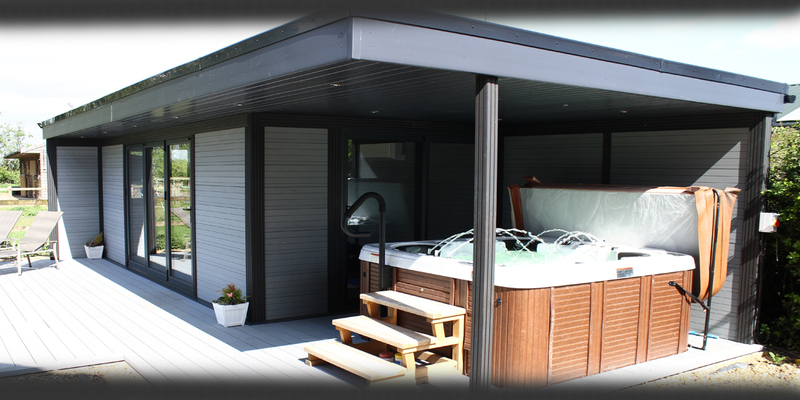 A treatment room in the garden was created to have a quiet space for clients to relax. 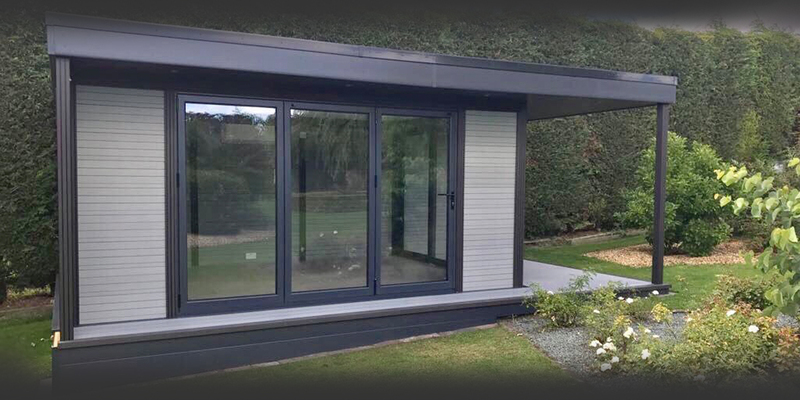 Fitted with patio sliding doors and a separate entrance door complete with internal blinds in the glass units. 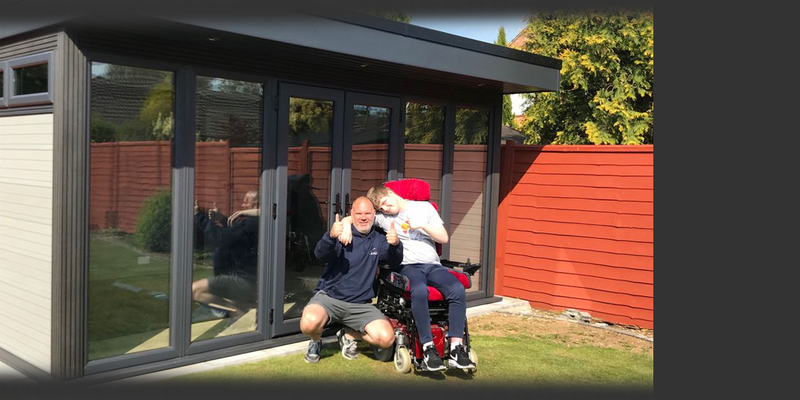 Utilising the canopy and decking on the Garden Room made those relaxing moments even more cherishable. What else could compliment this garden pool other than its own garden changing room. 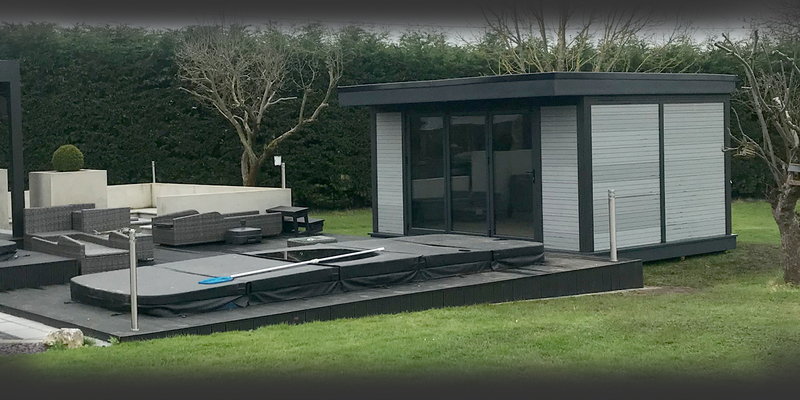 An attractive decking area can both increase your outdoor living space and provide a professional finish to the surrounding areas of your garden room. 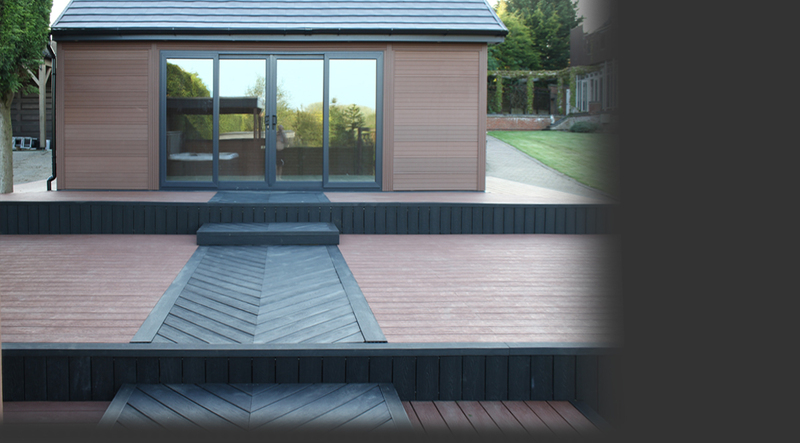 We offer a choice of matching composite decking to compliment your garden building. With limited space, our space saver module suited this space just right. 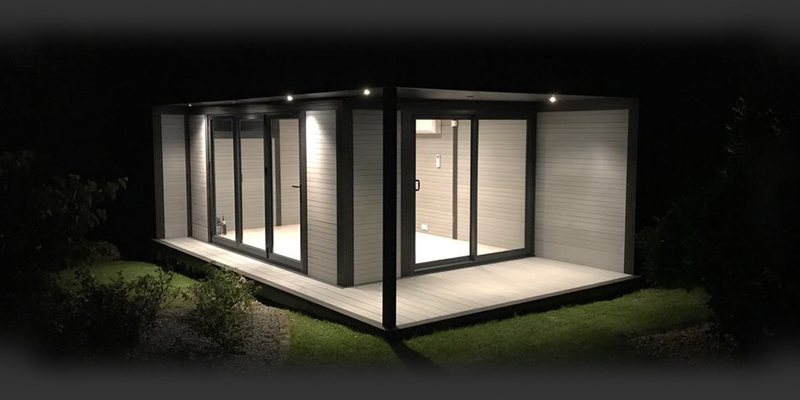 Light your Garden studio exactly how you want to, here lights in the roof panels add that touch of elegance. Looking for a space to enjoy some a nice cuppa and some peace and quiet? Our module 1 suited this spot to a “T”. 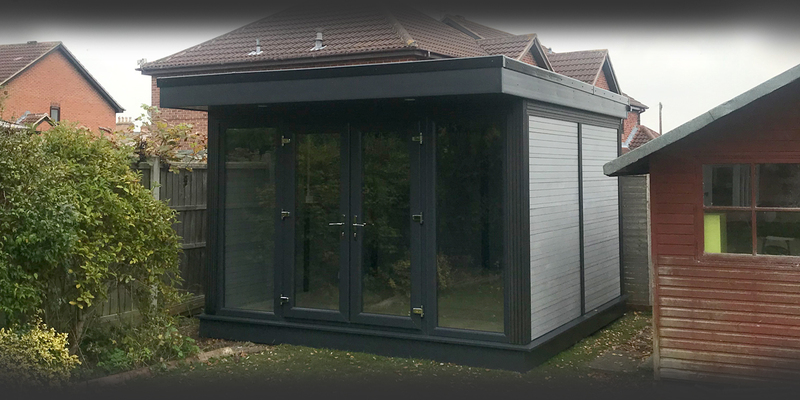 With matching decking to the side and also to the edges, this garden studio looks great. 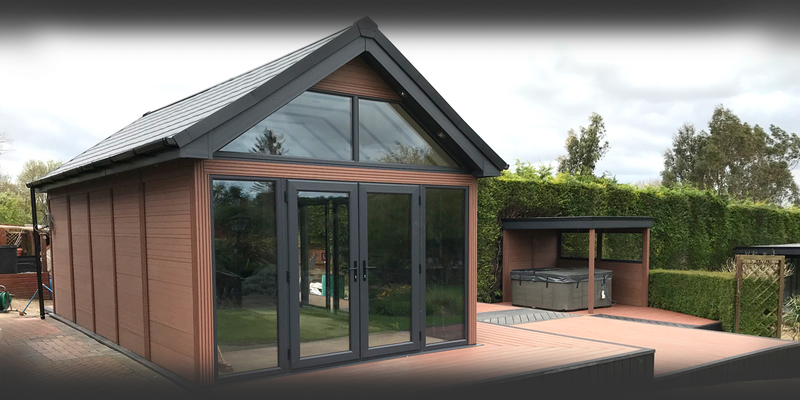 With full height gable ends both side and complimenting down lighters by night, this garden building really does offer inspiration. 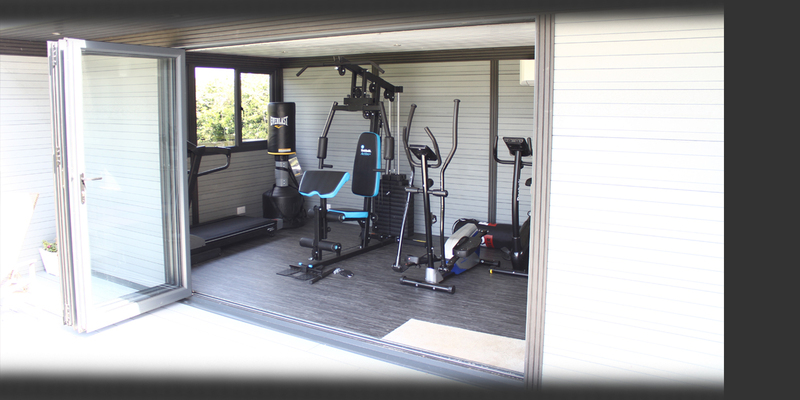 This client was looking for a way to offer his clients a private and safe space to workout in, our module 2 with canopy created the perfect garden gymnasium complete with a sitting area outside to cool down in. 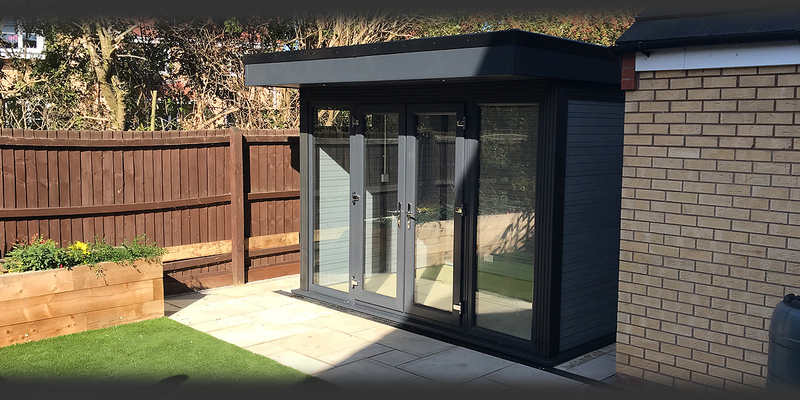 With a large full height glazed frontage and ample internal and external lighting, this module 4 makes the perfect playroom not only for the kids but adults to enjoy too. 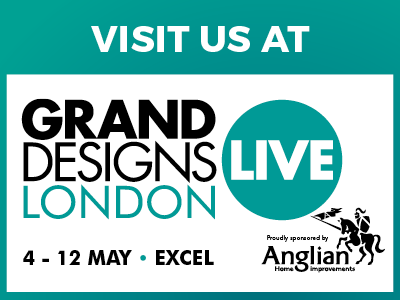 Indulge yourself whether you have a passion for art, craft or simply relaxing and reading in a quiet space. Something out of the ordinary. 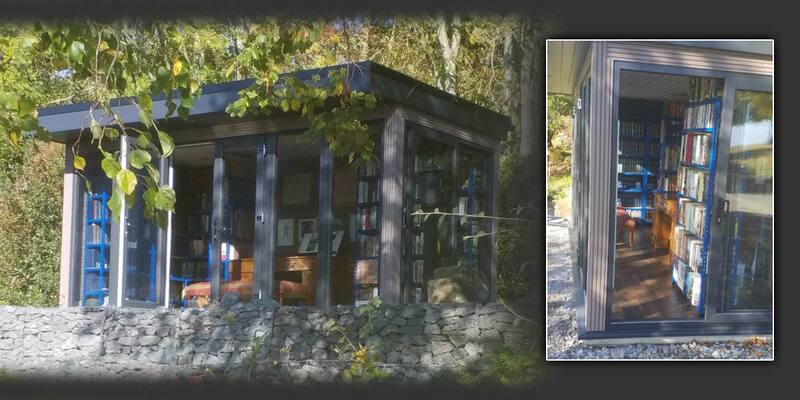 A garden room to securely house books and other documents.